Joe Woodward joined Taylor King Law in April of 2017. Joe is a graduate of the University of Arkansas School of Law. In his free time, you’ll find Joe reading, playing with his pets (Boo the rescue cat and Cooper the puppy), or doing any outdoor activity – hiking and lake time are two of his favorites. Law isn’t Joe’s only field of expertise; he also built his own computer! Prior to graduating from the U of A School of Law in 2016, Joe attended Hendrix College in Conway, Arkansas. 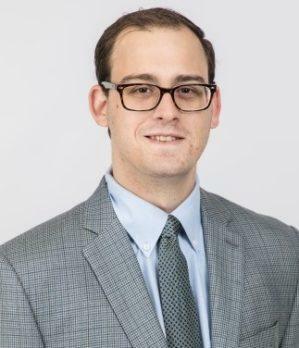 He received both the 2016 Bassett Law Firm Trial Advocacy Prize and the 2015 Ben J. Altheimer Moot Court Competition prizes for overall winner and best oralist. Joe is licensed to practice law in the state of Arkansas.